The constitution of Czech Republic provides for religious freedom and the government respects this right in practice. 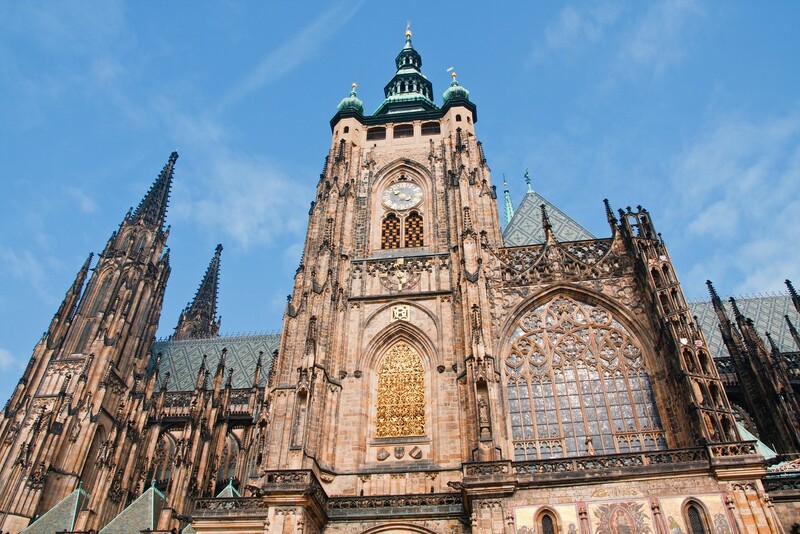 The area of what is today the Czech Republic was a pagan nation until 9th century. In 863 AD two brothers, Cyril and Molodej arrived as Christian missionaries to spread the religion throughout the region and the Catholic Church became very dominant. Though the country has a strong tradition of Christianity, the Communist rule of 1948 to 1989 greatly repressed religious practice. Nowadays many citizens of the Czech Republic do not claim membership in any religious organizations. In 2001 only about 38% of the population claimed to believe in God while about 52% claimed to be atheist and only about 5% of the population is practicing Roman Catholics. The Islam community has about 20,000 to 30,000 members while the Jewish community has only a few thousand people. Religious affairs are handled by the Department of Churches at the Ministry of Culture. There is no requirement to register, however officially registered groups are subsidized by the state. The Unification Church was denied registration in 1999 when it was determined that it had obtained proof of membership by fraud. In order to register a church must have a minimum of 10000 adult members permanently residing in the country. There are only 500 people are necessary for churches which the World Council of Churches has already recognized. After the fall of the communist state in 1989, the Vatican began to appoint bishops in Czechoslovakia. In the next year, diplomatic relations were established. The Czechoslovakian Ecumenical Council of Churches continues to represent churches in both new republics. Comments to "Religion in the Czech Republic"